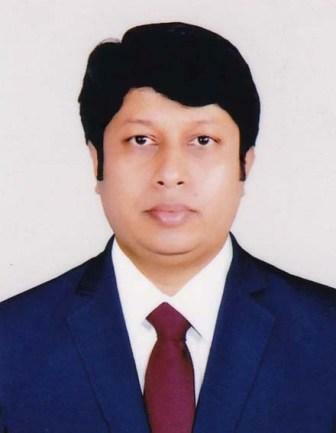 Amit K. Biswas: April 24, 2013- A black chapter in the history of Bangladesh’s garment industry. That was a pathetic accident at Rana Plaza in Savar. Those who rotate the economy of Bangladesh, the wheels of their lives stopped in an accident. The 1,135 fresh lives fell in the accident. Many people have to suffer physical and mental dysfunction. The Rana Plaza victims, the helpless workers and their families are still in pain due to the pain of losing their beloved ones. After several days of the Rana Plaza accident, human bones, skulls were found in ruins. By the morning of April 24, 2013, these people were running machines, producing apparels. They also had a dream to survive. Rana Plaza accident had happened because of the greed and negligence of a few entrepreneurs of Bangladesh’s readymade garment industry, which was not at all expected by any one. The rescue work that started on that day immediately after the incident, ended officially on May 14 after 21 days. 2,438 people were rescued alive from the rubble. On the other hand, 1,117 bodies were recovered. 18 people died in the hospital. So in total, 1,135 people died. After identifying, 844 bodies were handed over to relatives and 291 dead bodies were buried after collecting DNA samples. After the tragic accident of Rana Plaza, the garment industry, which has the highest contribution in the economy of Bangladesh, became victim of deep conspiracy of the indigenous and foreigners. Gradually, the Bangladesh garment industry turned out to be the conspiracy. The present government has protected workers’ interests and makes gas, electricity affordable for the owners. It has been decided to provide satisfactory cash subsidy to save garment industry. Because the garment workers’ wages have been increased and at the same time the electricity, gas and goods transportation charges have increased slightly. The supply of electricity and gas supply has been fixed without hindering it. The daily production increased significantly, but the profit did not increase as buyers are not paying higher prices. The ready-made garment industry will have to be considered as the national asset of Bangladesh. Currently China is in First place in the global clothing industry and we are in Second place. China supplies about 36 percent of world’s clothing market. Bangladesh supplies only 6 percent. Bangladesh has huge potential. For this reason, the machineries and technologies must be modernized. Another thing is noteworthy, modernization of machinery, technology does not mean that our skilled workers will lose their jobs. We have to build them as skilled. No buyer comes to Bangladesh to cooperate the country. They come as Bangladesh can offer quality products in cheaper prices. Many people come to Bangladesh and talk about security, rights etc. But they also buy products from Myanmar, Ethiopia and here they are seen to be silent. Bangladesh signed the memorandum of understanding with International Labor Organization (ILO) in 1972. Lack of respect for labor rights is seen in Ethiopia but the buyers are buying their products from the country. Even in China, there are many loopholes in applying labor laws. Yet, the entrepreneurs of Bangladesh are developing in different fields. Our businesses will have to move ahead by us. All entrepreneurs, workers, government, media, experts, development partners will work together in this regard. Branding should be done for Bangladesh. In the EPZ, the entrepreneurs of the country should be given investment facility. At the same time, we will have to give similar benefits to our entrepreneurs what benefits the competing countries are providing to their entrepreneurs to keep competitiveness. There will be more incentives for export in Bangladesh. In addition to the readymade garments industry, leather goods, pharmaceuticals, jute etc. can play a huge role in exporting and earning foreign currency. After the horrific accident of Rana Plaza and Tazreen Fashions, the country’s readymade garment sector has faced various obstacles. However, after passing all the obstacles, garment industry of Bangladesh is now Roll Model of the world. Recently, the US Green Building Council has selected 10 best green factories around the world of which 7 are from Bangladesh. There are more than 67 green factories in Bangladesh. And 280 factories are now waiting for certification by UGBC. After the collapse of Rana Plaza and Tazreen Fashions, in last four years nearly 1,200 clothing factories have been closed in meeting the compliances of Accord and Alliance. Garment industry workers are an integral part of Bangladesh’s development. There has been a great improvement in the compliance sector. But, despite the fact, the garment industry of Bangladesh sometimes becomes unstable on wage issues. And the vested interest-quarters want to create unrest in the garment sector. Most of the garment factories in Bangladesh are now able to fulfill the 100 percent compliance requirements. After the collapse of Tazreen and Rana Plaza, Bangladesh’s readymade garment sector turned around. Bangladesh is now the name of new Brand in the world market by changing all kinds of negativity. The Writer is the Editor & Publisher of The Apparel News.